Requirement effective as of the 2013-2014 school year. Students in grades 7 – 12, should receive information about, and a demonstration, of the use of AEDs. 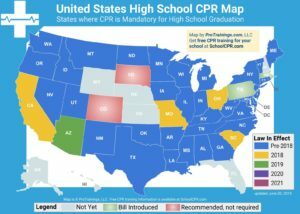 School districts must provide one time cardiopulmonary resuscitation (CPR) instruction as part of the comprehensive health education. CPR education does not need to cover all victim sizes (adult/child/infant) and does not require a hands-on component to training. Teachers do not need to hold a CPR or AED instructor certification in order to teach this content. Completion of CPR and AED training is not required for graduation, but students must demonstrate proficiency in health education as part of the revised Education Quality Standards. Comprehensive health education is considered part of the minimum course of study for Vermont schools. Teachers do not need to hold a CPR or AED instructor certification in order to teach this content. However, in Vermont a physical education endorsement and health education Students in grades 7 – 12, should receive information about, and a demonstration, of the use of AEDs. The American Red Cross recommends that students not engage in skillbased training to operate an AED unless they are certified in full cycle CPR. 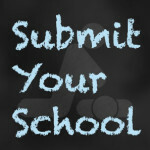 Assistance in obtaining local resources available via the Vermont Agency of Education (see link below).